A cool touch to this MALBA show is the entrance: a black-and-white image of the original showroom is projected onto a walled curtain through which you must pass through to view the artwork. The curtain/projection screen momentarily confuses some visitors who stand before it not sure where to go. Eventually someone makes the first step in parting the curtain and others figure it out. With the range of artistic styles on display the overall effect is rather jarring. If you’re familiar with Argentine art or visited many of the museums in Buenos Aires, then you already will have seen many of the works presented. 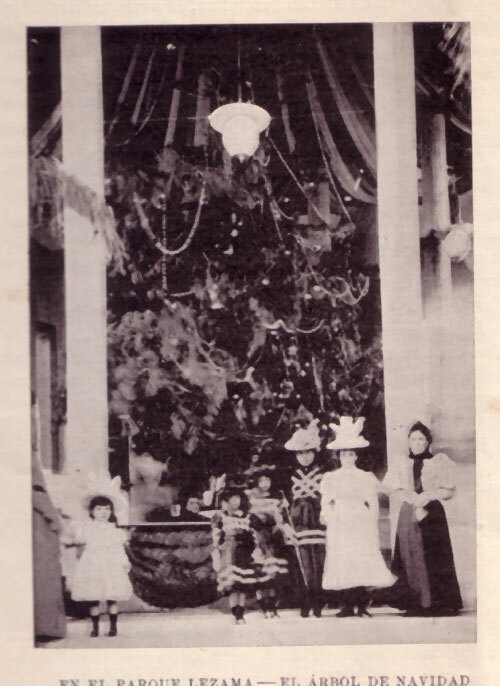 There’s the usual suspects: Xul Solar, Berni, Quinquela Martín, Pettoruti, de la Cárcova as well as Fader, Foner, and Figari. And there’s a slew of others. Additionally, there’s a bit of sculpture (only a few heads), music (that was a popular listening station) and a mini-cine as part of the exhibition. I made the mistake of visiting MALBA on the crowded, free Wednesday. The little cine and the listening stations were the most popular while others strolled by the paintings on the walls. As always in museums, certain folks are engaged with close examination of the paintings while others merely give a passing glance. As with the nature of this specific exhibition, with a focus on the association that sponsored the earlier displays of these works in the early/mid-20th century, you don’t learn much about the artists. But I was delighted to see several examples of works represented by the Artistas del Pueblo, which may very well be my favorite movement among Argentine art. A wonderful exhibition on these artists was held last year at the Imago Espacio de Arte on Suipacha street. Considering the agricultural-government conflict of this past year, it was amusingly unexpected to see the historical relationship between the city’s rich and the campo so clearly spelled out. Of course, everyone knows that, no need to hush hush about the word. I’m looking forward to learning more about the Amigos del Arte through the 300+ page catalog published along with the exhibition. But I really want to learn more about all these artists and not their patrons: talking about art is a fun parlor game for intellectuals but has nothing to do with creativity. I always will have great memories of Parque Lezama. I’ve spent many hours strolling around the park. Sure, on weekends it’s rather dusty and crowded but wonderful during the week. 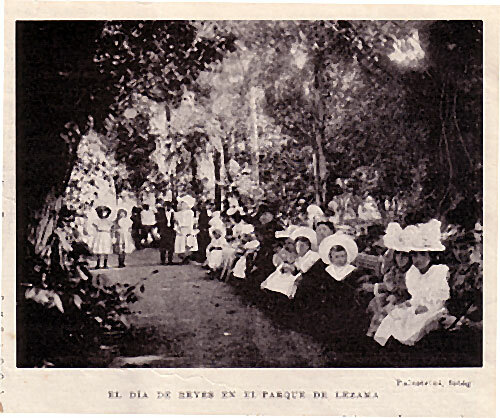 Here are a couple of old photos from Buenos Aires Revista of the holidays in Parque Lezama, 1898.